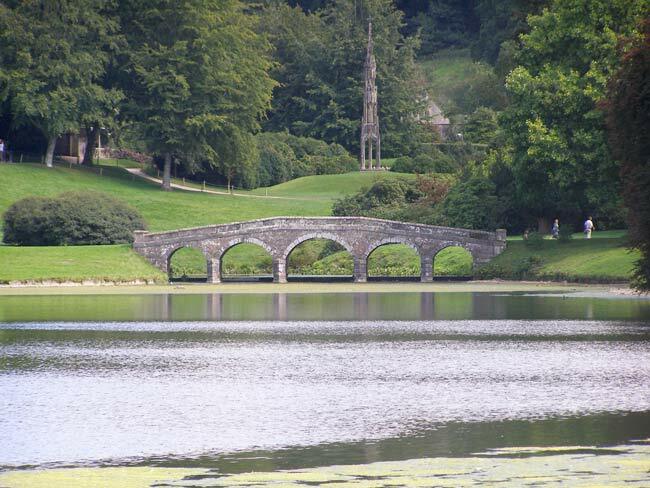 Stourhead is a National Trust property in Wiltshire, an 18th. 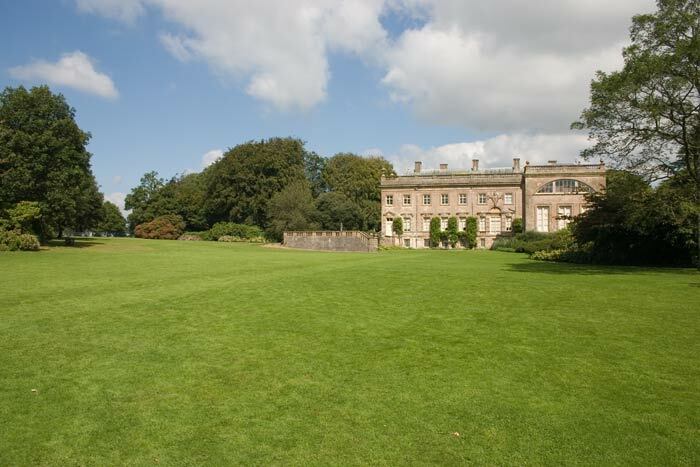 century house and garden, this is the gate house. 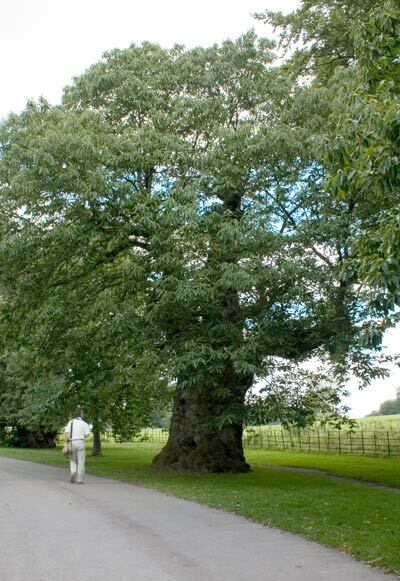 The thickness of the trunk of this tree beside the drive caught my eye. 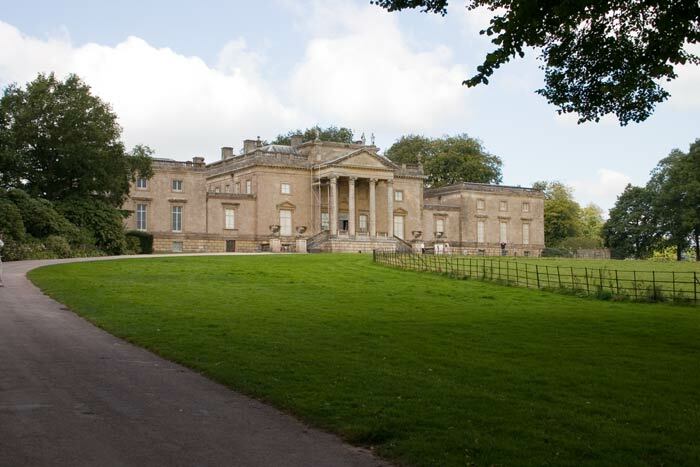 The front and south side of Stourhead House, once home of a banking family it was built in the 1720s. 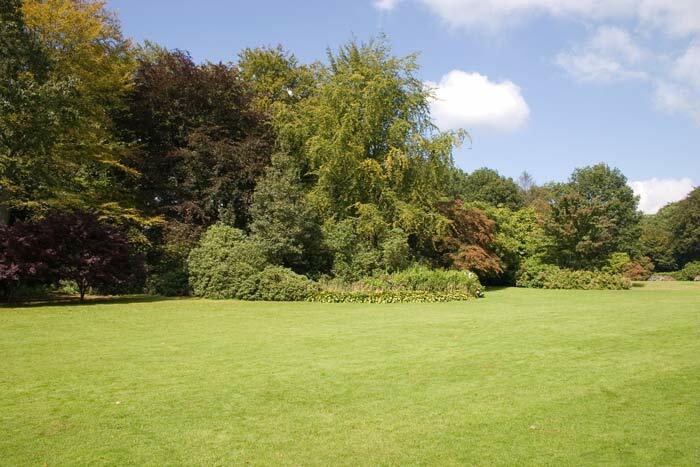 Part of the gardens close to the house. 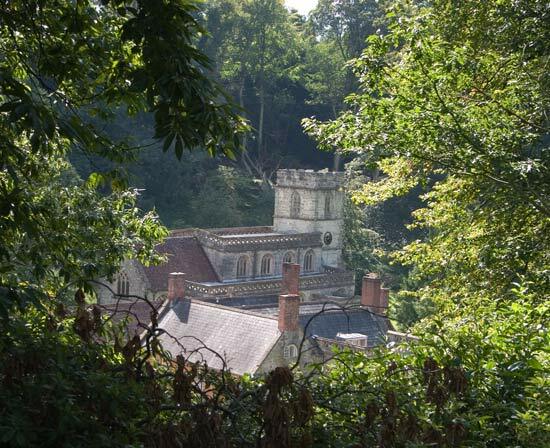 A view through the trees of St. Peter's Church in the valley below the house. 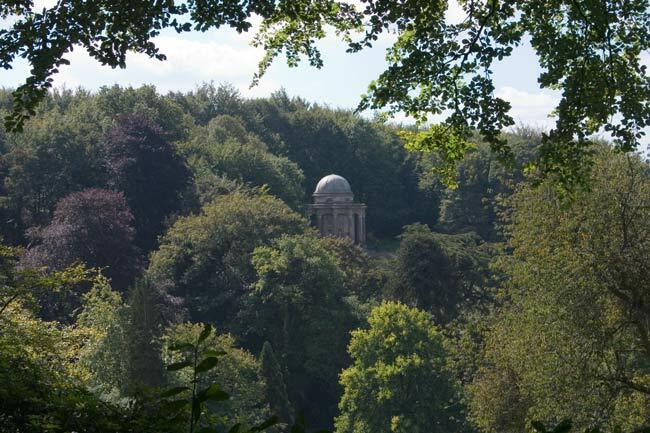 The Temple of Apollo seen across the valley - it is on the same path around the gardens as I was on when I took the photo! 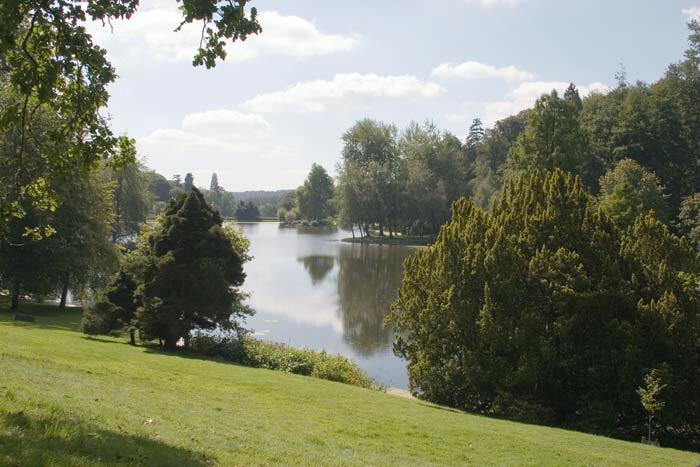 Two views of the lake which forms the centrepiece of the landscape garden. 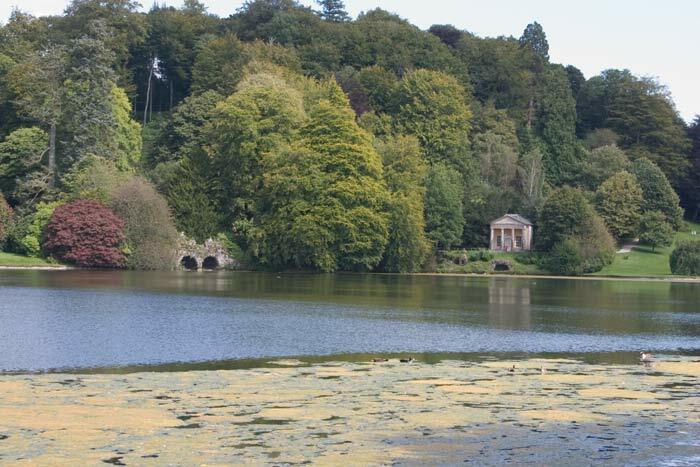 The Temple of Apollo this time seen across the lake. 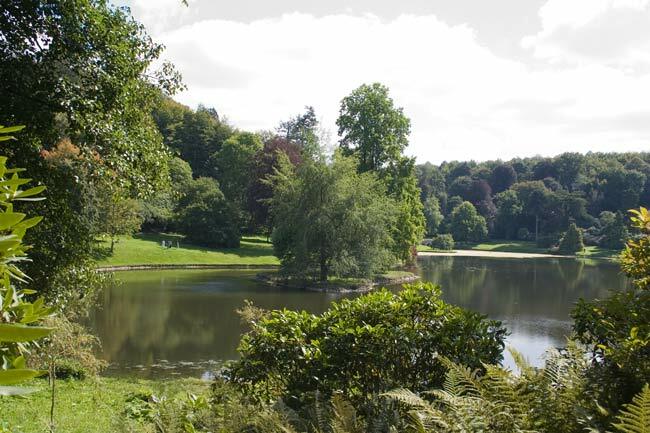 No lake is complete without an island, this is one of two at Stourhead. 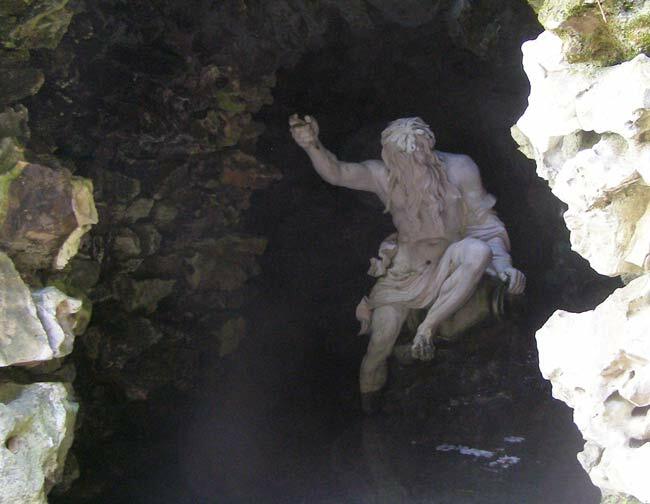 No such garden is complete without a grotto, that at Stourhead includes these two statues. 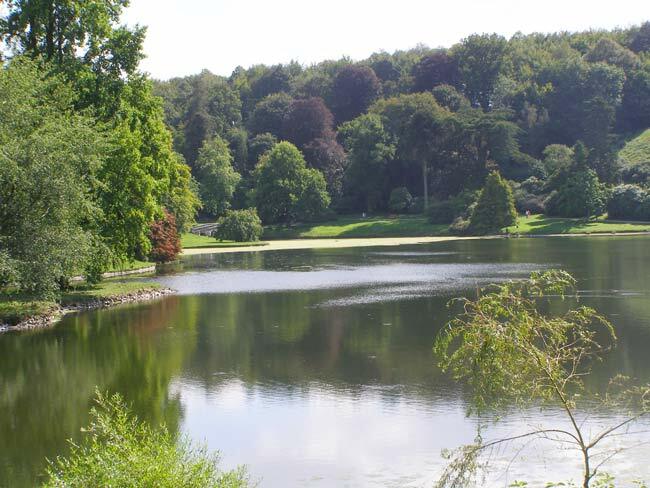 Another view of lake and one of its islands. 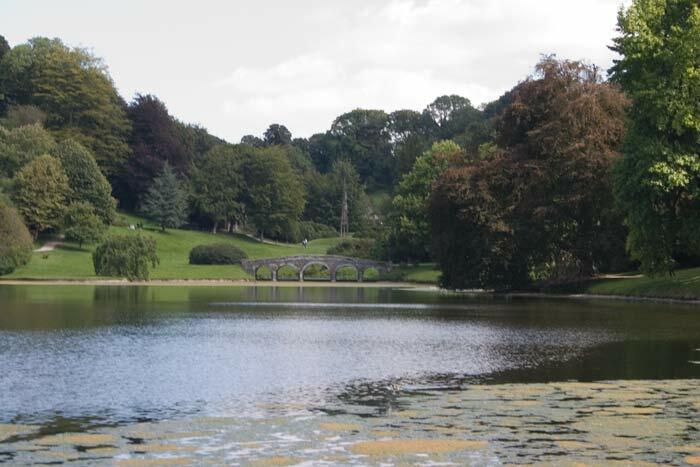 The Temple of Flora viewed across the lake. 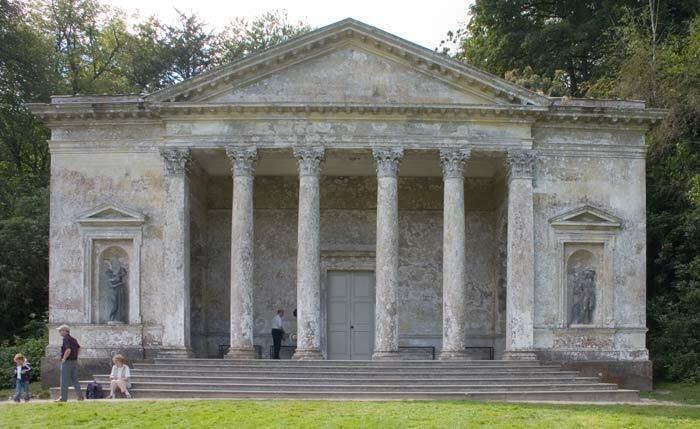 The Pantheon, viewed from the same place as the above photo was taken. 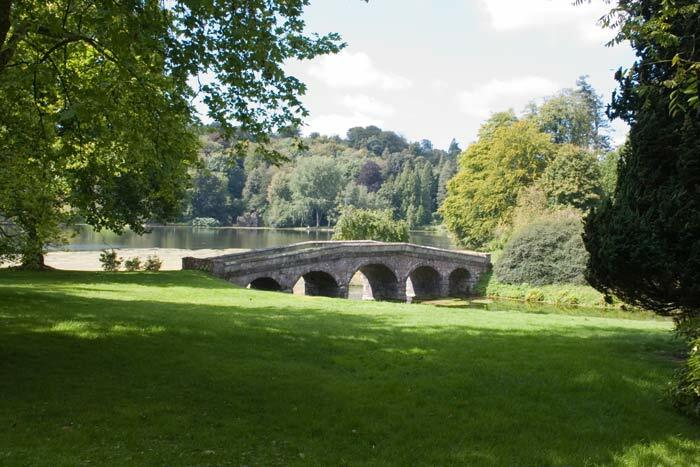 The Palladian Bridge across an arm of the lake with the Bristol Cross behind it. 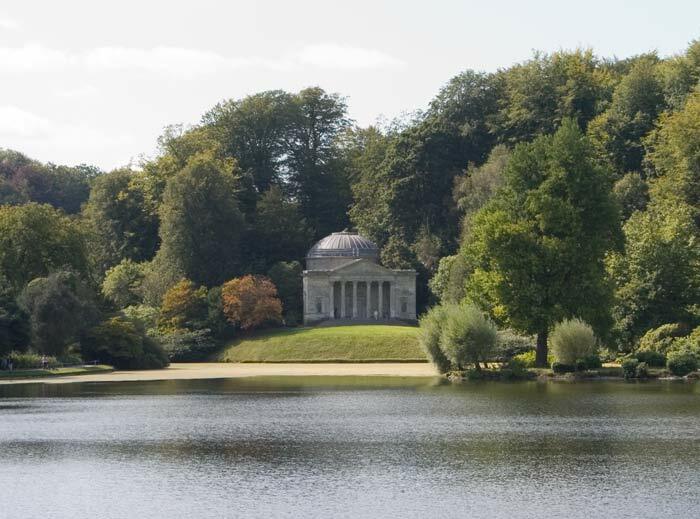 The Temple of Flora seen again from across the lake. 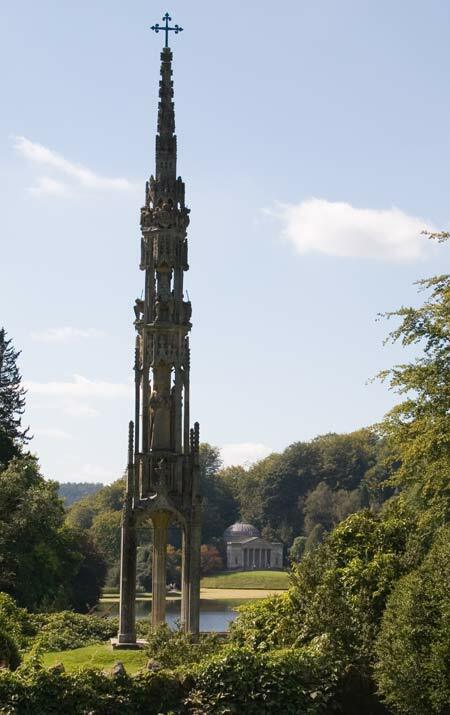 A wider view including the Temple of Flora, the Palladian Bridge and the Bristol Cross. 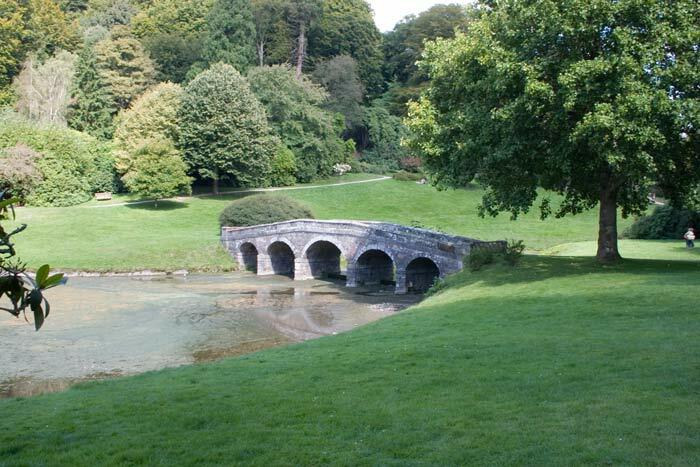 Two views of the bridge, it actually has a grass surface and you can't walk across it. 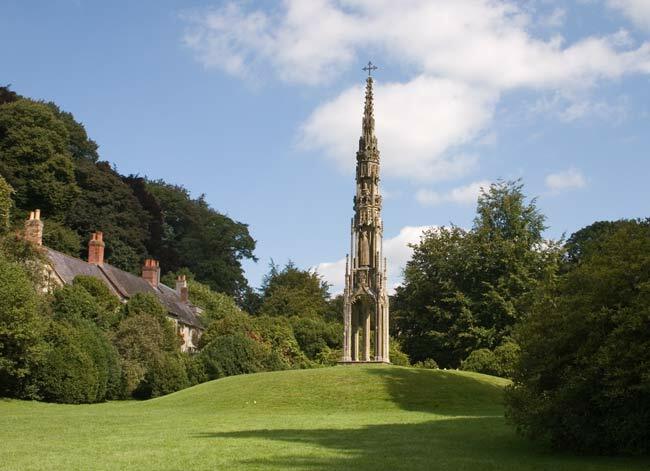 The Bristol Cross by the lower entrance to the garden was originally located in the centre of Bristol and was moved here when that part of the city was redeveloped - in 1768! 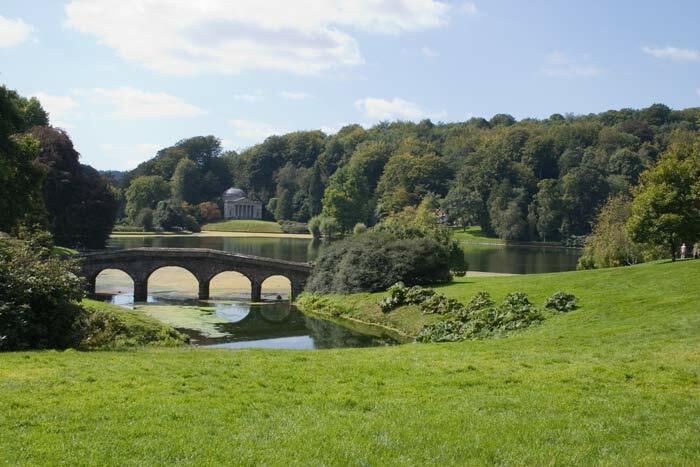 The reverse view from that above is of the Palladian bridge with the Pantheon across the lake behind it. 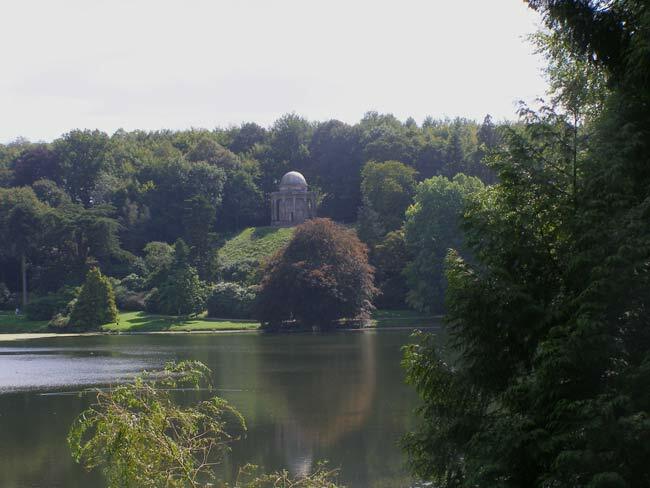 Zooming in on the Pantheon, like many of the follies at Stourhead it is easier to photograph from across the lake than it is nearer to it. 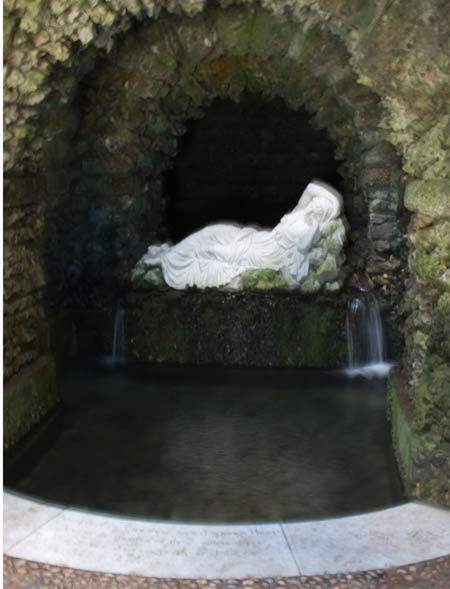 Originally erected at the main crossroad in the City of Bristol in 1373, it was deemed to be an obstruction in 1733 and was moved to College Green by the Cathedral. 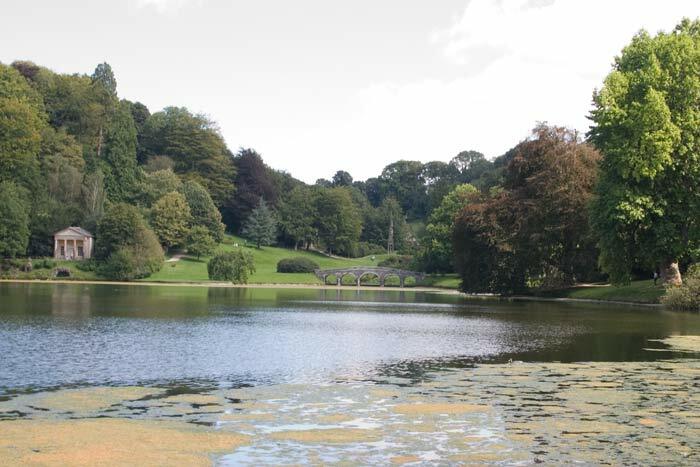 However people objected to it there so in 1768 it was donated to Henry Hoare to incorporate into his garden - Bristol's loss, Stourhead's gain. 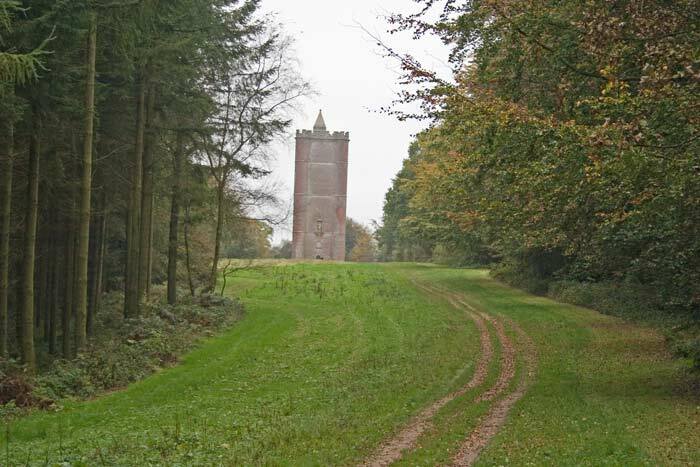 Some 2 1/2 miles from the house is King Alfred's Tower which straddles the boundary between Somerset and Wiltshire. 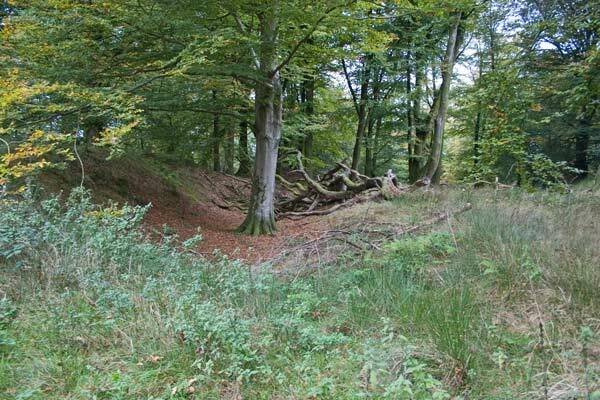 The reason for the name is that this hill is where King Alfred raised his standard against the Danes. 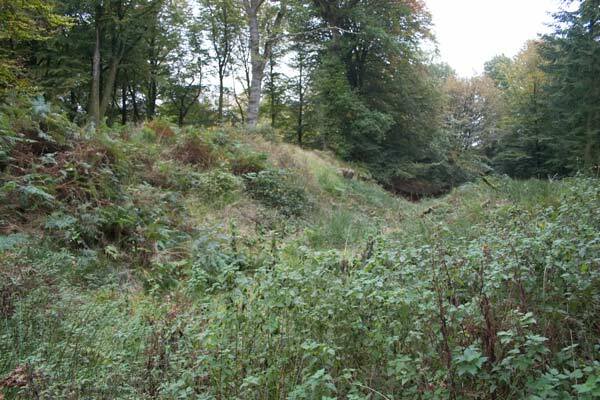 You can go up the tower by a 205 step spiral staircase with no place to rest on the way! 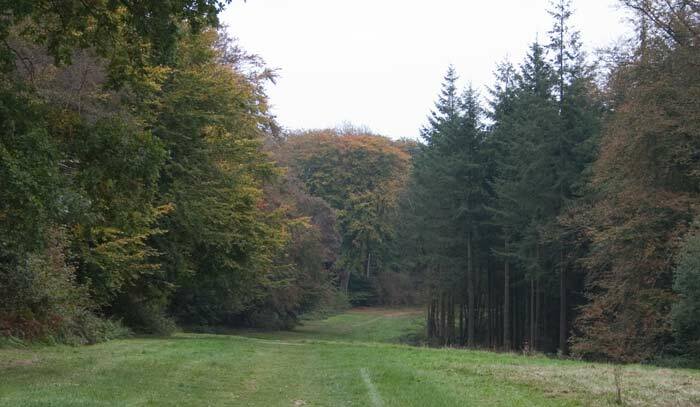 There's some nice woodland walks in this outer part of the Stourhead estate. 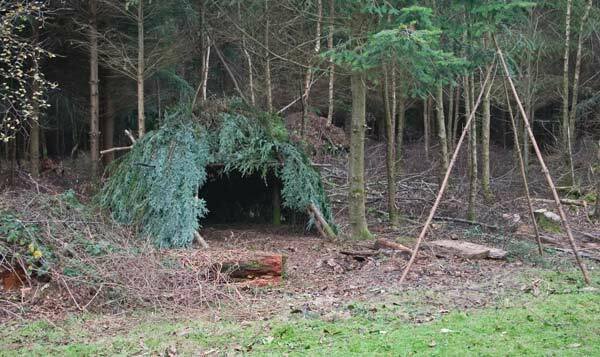 I spotted this natural "tent" in the woods, this was in fact the best of many. 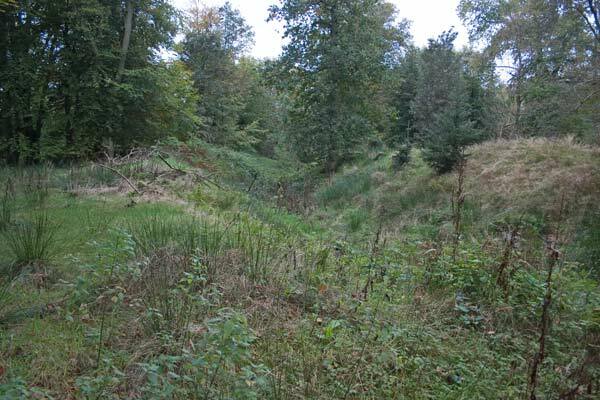 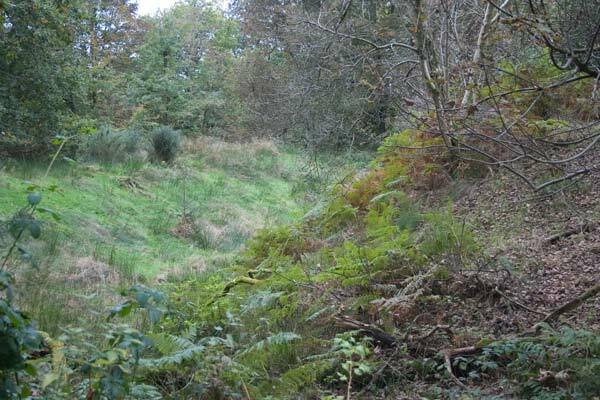 In the woods near the Tower is Park Hill Camp, the remains of a Iron Age fort.